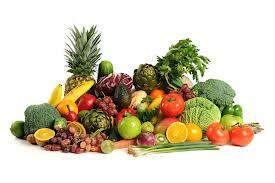 The most important factor while maintaining oral health is the diet you are taking. After eating certain food, the bacteria in your mouth reacts within couple of minutes and forms in to acid. This acid attacks the tooth enamel and causes tooth decay. Therefore, it is better to keep a check on your regular diet, to maintain good oral health. To help you out on which food to take, we have made a list of food items that are healthy for your teeth. 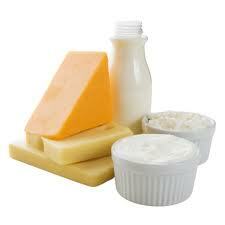 Dairy products like curd, cheese and milk can make a healthy snack. Calcium makes your teeth and bones strong. Milk is rich in calcium. It is better to drink two glasses of milk every day. Consuming cheese can help you in promoting healthy teeth as it is rich in calcium and phosphate. Fruits can be the best diet for your teeth. They massage your gums and prevent build up of plaque. Take fruits that are rich in vitamin C, as vitamin C helps in holding the cells together. Deficiency of vitamin C can make your gums and teeth more prone to dental problems. Vegetables like pumpkin, carrots, broccoli and sweet potato are rich in vitamin A and promotes formation of tooth enamel. Green tea has many benefits to your health as well as teeth. It has antioxidants that help in preventing the formation of plaque, thus it reduces the risk of tooth cavities. 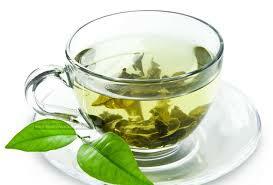 Green tea has some amount of fluoride that helps in preventing tooth decay. Sugar free food contains no amount of sugar in it and these products do not get digested in the way as sugar is digested. They contain isomalt, sorbitol and mannitol which don’t give chance to the bacteria to react with the food thus prevent formation of acid that causes tooth decay. See to it that your diet contains protein-rich foods like red meat, eggs, chicken, etc. that will help you in keeping your teeth healthy and problem-free. Water is regarded as the gift of nature. Water helps in washing away the left over food particles and produces more saliva. Saliva acts as the defence for cavities. Saliva contains 90-95% of water so it is better to consume more water for staying hydrated. Instead of drinking sodas and sugary drinks it is better to drink water, that is not only good for your oral health, but also for your overall health. This entry was posted on Friday, October 18th, 2013 at 6:18 am	and is filed under Dental Health. You can follow any responses to this entry through the RSS 2.0 feed. You can skip to the end and leave a response. Pinging is currently not allowed.